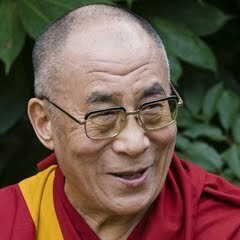 The Dalai Lama is the most popular world leader, according to a Harris poll, with a 78 percent favorable opinion. GR.–In the narrow context of the migration problem, the Dalai Lama doesn’t mention the need for climate and population control. If global warming-caused drought continues in the Middle East, migrants cannot return, for there, Earth’s carrying capacity can no longer feed them. The situation should send a tingle of fear up our spine as it is the harbinger of the collapse of the current human civilization and close of the Anthropocene. By John Vinson.–“In a world where genuine moral wisdom is rare, the recent words of the Dalai Lama on migration are refreshing indeed. The spiritual leader of Tibet began by affirming the importance of compassion. “When we look at the face of each refugee,” he said, “we feel their suffering, and a human being who has a better situation in life has the responsibility to help them.” But then he thoughtfully added that other considerations must balance compassion to uphold the greatest moral good. This entry was posted in Migration, Population by GarryRogers. Bookmark the permalink.